Vancouver, January 21, 2019 – The past decade has been a wonderful journey for the Chinese Restaurant Awards (CRA) to bridge a connection between Chinese and Taiwanese cuisine and Vancouver foodies. By gathering our renown judges and the dining public, we have crafted a reputable dining guide that invites the world to the delightful Chinese and Taiwanese cuisines in Metro Vancouver and beyond. The recent New York Times and Food and Wine’s news on the eight-time Diner’s Choice Award winner Richmond’s HK BBQ Master is one of the great examples of the world’s recognition. CRA has been dedicated to broaden the horizon of Chinese and Taiwanese cuisine by a number of creative campaign and dining events. Concluded in November, 2018, the #Taste City Series invited Vancouver culinary influencers to meet with Hong Kong and Taipei’s culinary masters and chemists and to share their creative visions for Chinese and Taiwanese food, as well as keeping an update on the dining scenes in Asian cities, where the culinary traditions have originated. In addition, on the weekend of January 26th, Vancouver’s award winning restaurants will present another extraordinary culinary experience to 800 guests at the 12th annual Feast of Fortune Charity Gala, presented by St. Paul’s Foundation, for the Mount Saint Joseph Hospital. 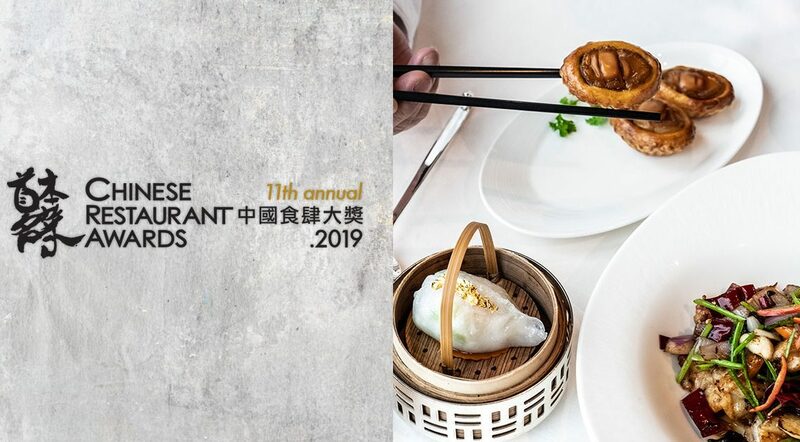 The 11th annual Diners’ Choice Awards, presented by China Eastern Airlines, mark a new beginning with a revitalized vision to encourage public engagement in curating the Chinese and Taiwanese dining scene in Vancouver. In celebration of their 15th anniversary of Vancouver service, China Eastern Airlines joins the Awards to present the Diners’ Choice Awards and celebrate the finest of the year with the dining public. As part of CRA’s continued effort to highlight the excellence of the restaurants, the Diners’ Choice Awards is destined to fulfill the delicious wishes of foodies all across Metro Vancouver, with a total of 23 awards categories, including 3 iconic regional dishes (Cantonese-style Crispy Chicken, Sichuan Chili Oil Wonton, and Tofu Pudding – background of the three categories can be read on program page), the new category for Best Dessert Restaurant and Vanpeople’s Most Voted Restaurant. In recent years, Vancouver has attracted an expanding number of Chinese and Taiwanese dessert shops, including those with established fame in Asia. It’s very encouraging to see the growing popularity of these dessert shops, while it’s important for CRA to recognize this with a new category in the Diners’ Choice Awards. Diners’ Choice Awards’ online nomination will commence from January 21st to the 27th, in which the 20 most nominated restaurants, shops, and/or cafes in each category will become final nominees. Then, the online voting period will be from January 28th to February 24th, when the public can either vote on our website www.ChineseRestaurantAwards.com or on the tri-lingual WeChat mobile app developed by Fantuan Delivery (QR code in program webpage). Result will be announced on February 25th. Voters will also enter the chance to win two sets of prizes: a pair of economy class round-trip air tickets to Shanghai from China Eastern Airlines, one night deluxe accommodation at River Rock Casino Resort and a dinner at the Best New Restaurant. More details are available in the program webpage. Especially as Chinese New Year will be right around the corner at the time, diners are encouraged to check out the nominated restaurants and add a festive flare to their local culinary adventures. The much anticipated Critics Choice Awards, presented by Alberta Canola Growers, will be revealed at the Chinese Restaurant Awards ceremony in April. This year’s judging panel includes Alexandra Gill, acclaimed food columnist from Globe and Mail, Brendon Matthews and Lee Man, two founding judges, as well as the newly joined William Ho, Fairchild TV and radio host and well-known foodie in the local Chinese community. These judges have commenced their tasting journeys since September 2018, in search of the best representation of must-try signature dishes all across Metro Vancouver. “The Critics Choice Awards are the most satisfying of any award format I’ve been fortunate enough to sit as a judge for. The freedom of searching out iconic renditions of supreme technique, ingredients and craftsmanship is gratifying,” said Brendon Matthews, one of the founding judges of the Critics Choice Awards. The judging criteria for the Critics Choice Awards Signature Dishes will continue to focus on the taste of the dish, rather than presentation or the restaurant itself. The Chinese Restaurant Awards wish to thank the following partners: Alberta Canola Growers, China Eastern Airlines, River Rock Casino Resort, Underwater Harvesters Association, Oceanwise, Twiisted Media, Fantuan Takeout and Technology Support, Singtao Daily, Pure Luxury Magazine, A Bite of Vancouver, City365.com and Vanpeople.com. About Chinese Restaurant Awards The Awards were launched in 2008 on two founding principles: to raise awareness for the exceptional Chinese and Taiwanese cuisine available in Metro Vancouver and to create a platform for cross-cultural culinary exchange, to support the development of a more vibrant and dynamic dining scene. The Awards are organized into two sections: Diners’ Choice Awards and Critics’ Choice Signature Dish Awards. The annual selections are widely recognized as the authority on Chinese food and serve as the go-to restaurant guide for visiting and local food lovers. The Chinese Restaurant Awards are celebrating their 11th anniversary this year and are now the longest running Chinese culinary awards event in the world. Since their founding, the Awards have distinguished themselves as pioneers of the Vancouver Chinese and Taiwanese food scene, striving to always inspire, excite, and engage diners.